In his second letter to Timothy St. Paul directs, “… the things that you have heard from me among many witnesses, commit these to faithful men who will be able to teach others also” (2 Timothy 2:2). Our forefathers took these words to heart. They were concerned that the Norwegian Synod had properly trained pastors and other servants of the Word. It was self-evident to them that those in the public ministry should know how to interpret the Scriptures and that they should be able to convey its teachings to others. They were to have a love of God’s Word and a love for souls. With this in mind the synod desired to establish a college and seminary. The first pastors of the Norwegian Synod came from Norway; many of them had studied at the University of Christiania (Oslo) under two important confessional Lutherans, Johnson and Caspari. However, the number of pastors coming from Europe could not meet the needs of the growing church in America. In 1855 the synod sent a committee to visit a number of Lutheran seminaries in this country to see if any of these institutions could provide suitable worker training for the synod. The committee strongly recommended the seminary of the Missouri Synod in St. Louis, Missouri. The Norwegian Synod found brothers in the faith in the German Lutherans of Missouri. Norwegian Synod students began to study at Concordia, St. Louis, with the first class graduating in 1863. Rev. Laur. Larsen was called as the Norwegian professor at Concordia and later Rev. F. A. Schmidt served in this position. During the years that the Norwegian students studied in St. Louis Dr. C. F. W. Walther was president of the seminary and was certainly a positive influence on the students. In 1876 the Norwegian Synod established its own seminary, but not on the campus of its college in Decorah, Iowa, as one might have expected. They probably wanted their liberal arts college to remain an entity by itself and not be regarded as mainly a pre-seminary department. Luther, the name given to the seminary, was located in Madison, Wisconsin, in a building that had once been the governor’s mansion and later the Civil War soldiers’ orphan home. Professors F. A. Schmidt and O. B. Asperheim were called to the seminary. In 1878 Rev. H. G. Stub was called to replace O. B. Asperheim. Luther Seminary was moved to Robbinsdale in the Twin Cities area of Minnesota in 1888 and then after a fire in 1899 to the nearby suburb of Hamline. After the church merger in 1917 the seminaries of the three Norwegian church bodies were also merged, using the buildings of the United Church seminary in St. Anthony Park, another suburb of the Twin Cities. From its reorganization in 1918 the Norwegian Synod of the American Evangelical Lutheran Church (now the Evangelical Lutheran Synod) was without its own theological seminary for twenty-eight years. It depended on its sister synods for the seminary training of its pastors. 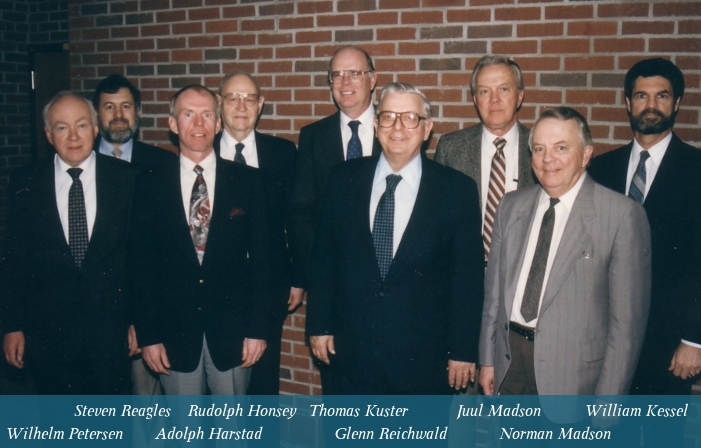 First, students were sent to the seminaries of the Missouri Synod as had been done in the early history of the Norwegian Synod, and later also to the seminary of the Wisconsin Synod. During these early years the hope of establishing its own seminary had been kept alive, but not until 1931 did the convention authorize its president to appoint a committee of three to prepare a plan. However, it was wartime – World War II – and the Board of Regents’ efforts to gain exemption from the draft for its ministerial candidates ran into difficulties because of Selective Service guidelines concerning new seminaries. Eventually, however, a change in ruling by the Selective Service Administration removed the last remaining barrier. 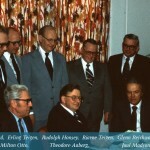 In the summer of 1946 the synod convention resolved in the name of the Triune God to adopt fourteen resolutions relating to a new seminary, the first of which was: “To establish a full theological seminary course at Bethany Lutheran College, this course to begin in the fall of 1946.” On September 24, 1946, a dedicatory service officially opened Bethany Lutheran Theological Seminary. 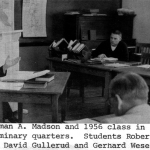 The first dean of Bethany Lutheran Theological Seminary was Rev. Norman A. Madson of Princeton, Minnesota. In 1957 Rev. Milton Otto joined the staff and was named dean of the seminary in 1968. He had been the pastor of the Saude-Jerico parish in northeastern Iowa and had served as president of synod. The 1974 convention of the Evangelical Lutheran Synod resolved that the seminary presidency be separated from the college presidency. Rev. 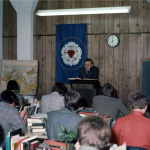 Theodore A. Aaberg was called as the first full-time president of the seminary in 1976. He had distinguished himself as a parish pastor and a theologian in the synod. 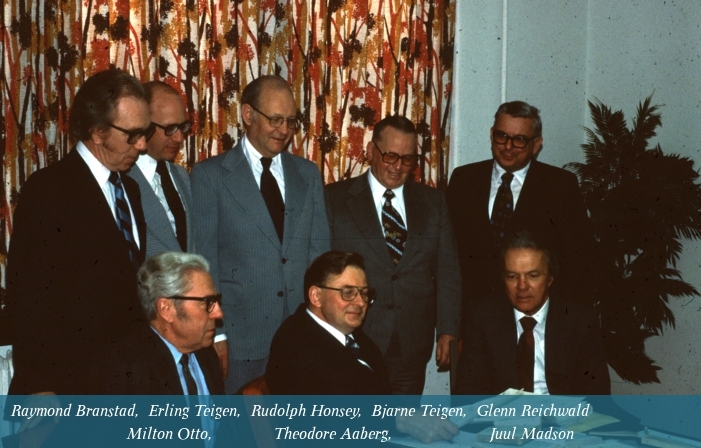 At this time the Regents created the office of dean of students, to which position Professor Juul Madson, a member of the staff since 1970, was appointed. 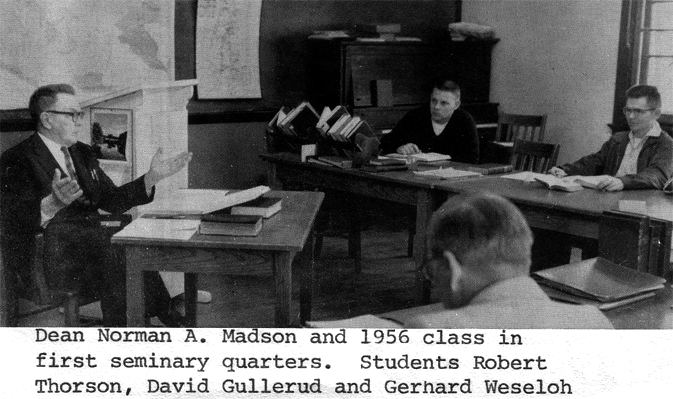 During much of this period Professor Rudolph Honsey taught the Old Testament classes in the seminary. President Aaberg tendered his resignation because of ill health in August of 1979 and passed away in January of 1980. Professor Glenn Reichwald served as acting president for the 1979-1980 school year. Rev. Wilhelm W. Petersen accepted the call of the Board of Regents to be the new president of the seminary and began his work on August 1, 1980. He served the seminary as president until 1997 when Rev. Gaylin Schmeling was called. 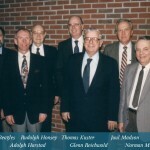 Throughout its history a large number of men have attended Bethany Seminary to prepare for the pastoral ministry. Many international students have attended the institution and then have returned to their homeland as missionaries. 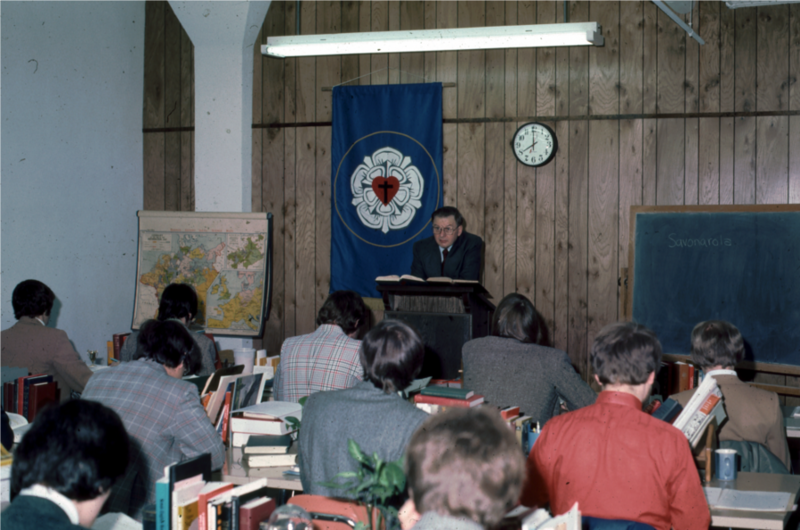 From 1961 to 1988 the Mequon Program at Bethany provided pre-seminary training for second career students of the Wisconsin Synod.